Detailed Description: The Initial Market Check (IMC) is a service that gathers feedback on a company’s product(s)/service(s) from industry players, providing insight into the company’s potential strengths, weaknesses, opportunities and challenges in a particular market. We will contact 5-10 industry leaders in Taiwan, present your company and products to them, gather their feedback, and prepare a report summarizing the results, including our recommendations for next steps and contact information for potential partners. In addition, we will evaluate the competitive environment for your product or service and provide an opinion regarding the feasibility of entering the market. The IMC is often used as a precursor to a Gold Key Service (GKS); if this is the case, we may provide a price adjustment due to IMC efficiency gains. Detailed Description: For Gold Key clients, we will identify and arrange appointments with pre-screened prospective partners – typically four per day. We will begin work on your Gold Key once we have received payment, and 20 sets of your company’s marketing material, and a letter of introduction printed on your company stationary. To view our facilities for GKS service, please click here to download our PDF file. Detailed Description: Commercial report on local company's basic background. Confidential. Detailed Description: The IPS assists U.S. firms in obtaining interested and qualified overseas partners for their services or products. The IPS promotes U.S. exports by helping U.S. firms gain effective representation abroad. CS Taiwan will conduct a search to select the most promising business prospects for each firm. CS Taiwan initially screens the possible partners, then directly contacts the top prospects to review the U.S. firm's products or services marketing objectives. Detailed Description: For Platinum Key Service (PKS) clients, we provide support for a number of client objectives including: Market Identification and Product/Service Launch; Ongoing Major Project/Government Tender Assistance; Trade Dispute Resolution; Regulatory and Technical Assistance; Technical Standards Approvals and Product Registration; and Reduction of Market Access Barriers. The fee range for the Platinum Key Service covers a period of up to six months. Fees are based on estimated costs incurred by the Commercial Section to carry out the PKS Objectives. Clients may request in writing to temporarily pause the six-month PKS and reactivate it at a later date within twenty-four months of the initial PKS agreement. This flexibility is especially useful for major procurement projects that may experience delays. To view our facilities for PKS service, please click here to download our PDF file. Detailed Description: The Single Company Promotion (SCP) provides U.S. companies with customized promotional services to help increase the awareness of their product / service in a specific market. To view our facilities for SCP service, please click here to download our PDF file. Detailed Description: U.S. companies which wish to hold seminars, press conferences, catalog shows, or meetings to promote their company and products/services may use our facilities. We charge at cost for facility spaces and audio/visual equipment. Coffee/tea services are available at extra cost, but no snack and meal services. To view our facilities for BFS service, please click here to download our PDF file. Detailed Description: Featured U.S. Exporters (FUSE) is a directory of U.S. products that appears on CS Taiwan's local website. Designed for U.S. companies looking for business partners in Taiwan, this service enables clients to post a listing of their product or product line complete with an image. Each listing contains company name, product/service description, objective in the Taiwan market, an image. Client-provided text is limited to a maximum of 100 words, and the image must be in JPEG or GIF format (maximum 200 x 200 pixels). Detailed Description: The BuyUSA Website Service gives qualified business service providers located in Taiwan the opportunity to appear on the CS Taiwan website, and thus be exposed to US business customers. 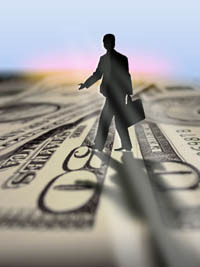 In turn, American exporters reap the benefits of an online source of qualified business service providers located here. Our specialists, working from U.S. Commercial Service offices in Taipei and Kaohsiung, provide individual U.S. companies with non-published, in-depth market research for a nominal fee. Order a complete set or specify a certain type of report that best serves your needs. Since the scope and content of these custom reports are specific to each individual U.S. company, we strongly recommend contact with a U.S. Commercial Service trade specialist in one of our 105 U.S. Export Assistance Centers throughout the U.S. Locate your nearest Export Assistance Center here. Detailed Description: Information on market size/demand for a particular product or service, including import/export statistics, local production, and statistics of imports from the U.S. Detailed Description: Evaluation of market potential for a particular product or service based upon general market trends, industry sources, and import statistics. The reports includes expected significant developments likely to have an impact on market prospects, such as major new investments or projects, government programs, policy changes, new legislation, etc. Detailed Description: Identification of the most common sales channels used for marketing a specific product or service in a given market. Detailed Description: Information on duties, taxes, quotas, non-tariff barriers and local trade regulations which may affect the marketing of a specific product or service. Detailed Description: Information on standards and required registration procedures as they pertain to a particular product or service. Detailed Description: Information on the general regulatory environment and legislation governing the marketing of products or services in a given sector. Detailed Description: Identification of competitive (both local and other foreign) technologies, products or services, and suppliers/producers of a given product or service in the market. Detailed Description: Customized research designed to meet the needs of the client.